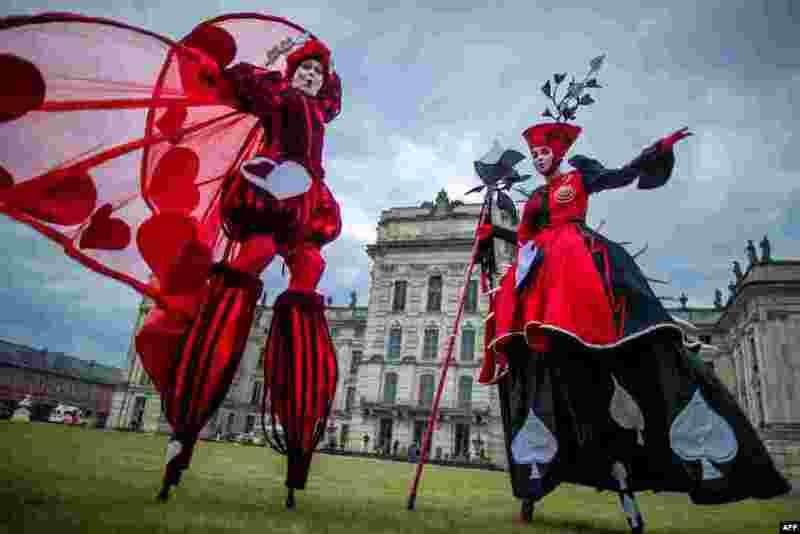 ١ Dancers of the Art Tremendo dance company perform in front of the Ludwigslust's castle, in northern Germany on to promote the "Small Festival in a Big Park" festival this August. 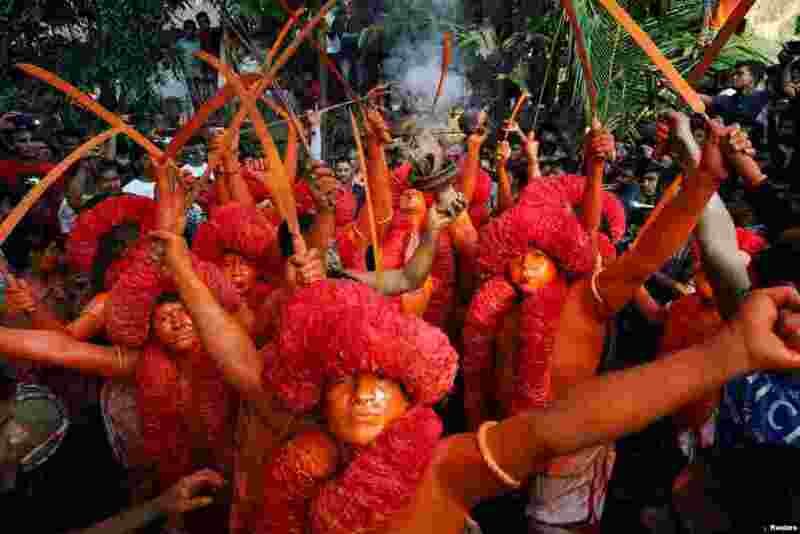 ٢ Hindu devotees dance on the street as they celebrate Lal Kach festival in Narayanganj, Bangladesh. 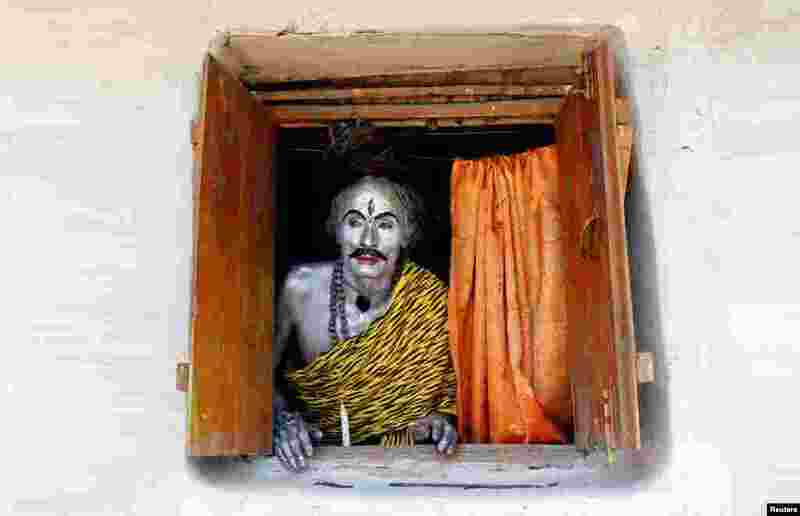 ٣ A devotee, dressed as Hindu God Shiva, looks out from a window as he waits to perform during the annual Shiva Gajan religious festival on the outskirts of Agartala, India. 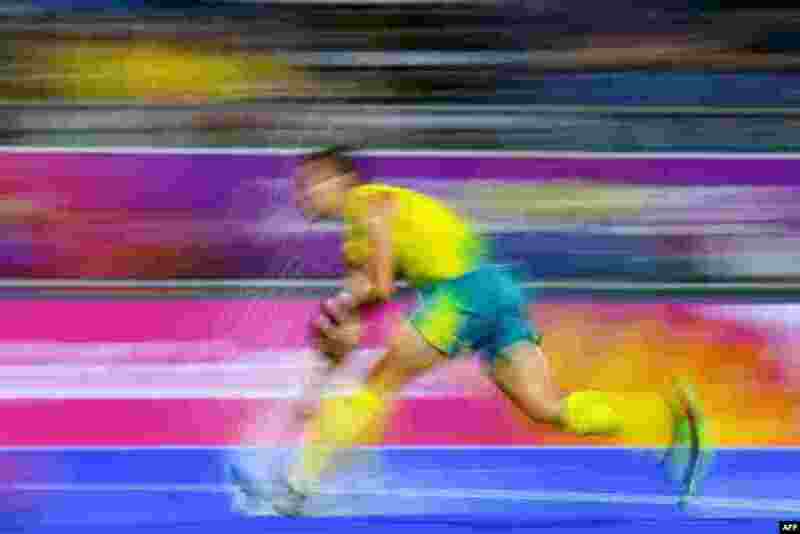 ٤ Australia's Tom Craig makes a run with the ball against England during their men's field hockey semi-final match at the 2018 Gold Coast Commonwealth Games in Australia.